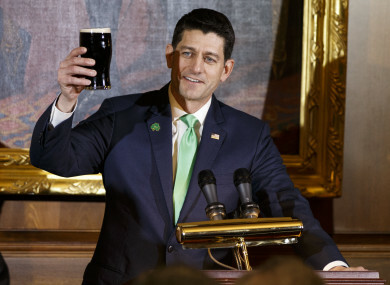 Poll: Would you like Paul Ryan to be the ambassador to Ireland? Ryan claims Irish roots, having traced his ancestors back to Ireland during the Famine. House of Representatives Paul Ryan said he would like the job as ambassador to Ireland one day. In an interview with Journal Sentinel, he suggested he might fancy the job when he is in his 60s. Ryan does have Irish roots – he’s traced his Irish ancestors back to the Famine and there is a vacancy for the job. Email “Poll: Would you like Paul Ryan to be the ambassador to Ireland?”. Feedback on “Poll: Would you like Paul Ryan to be the ambassador to Ireland?”.